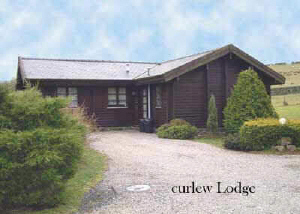 From the moment you arrive, you’re bound to be impressed with Curlew Lodge. It is located in the heart of the magnificent Cumbrian countryside, with panoramic views across Wild Boar Fell and the Howgills. It is constructed from the very finest Danish Pine logs with a local stone base and slate roof, which blend sympathetically into their surroundings. Not to be confused with inferior caravan type cabins. It goes without saying that the lodge is spacious and well equipped. Central heating makes it warm and cosy during the winter months. There are three good size bedrooms: one king-size with colour TV, one bunk bed room for the children and a twin bedded room allowing the lodge to sleep a family of 6 comfortably. The welcoming lounge features a three piece suite, a wide-screen colour television, video, DVD and music system. The fully fitted kitchen includes an electric cooker, microwave, kettle, toaster and fridge. The dining room features a dining table and 6 chairs. There is a separate laundry room with washer/dryer, iron and ironing board. The garden includes table and chairs and a barbeque with picnic bench. There is parking for 2 cars. No pets allowed. All linen is provided. Guests must bring their own towels unless travelling from abroad. Electricity is by electric meter. 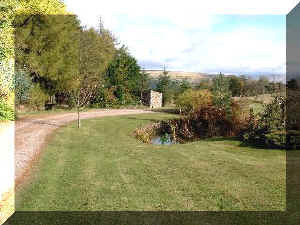 Short breaks are available from 1st October onwards for a minimum 4 night stay. The rates are on a pro rata basis plus £30.